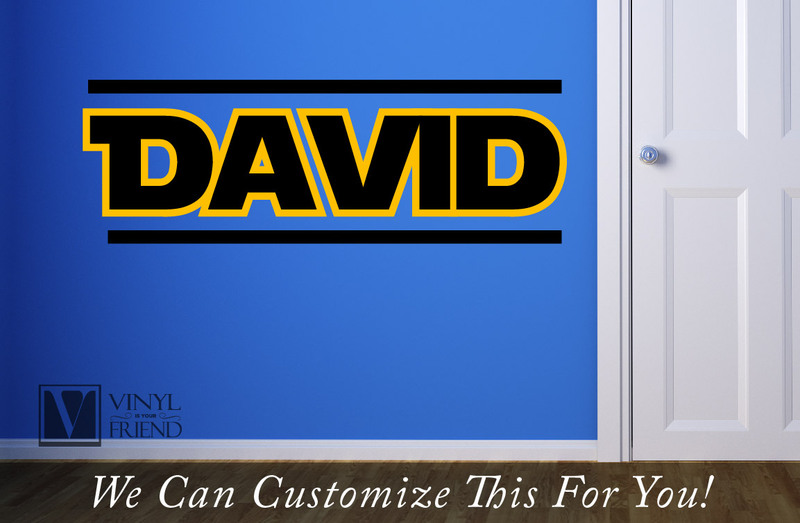 This is custom name star wars themed wall decal. 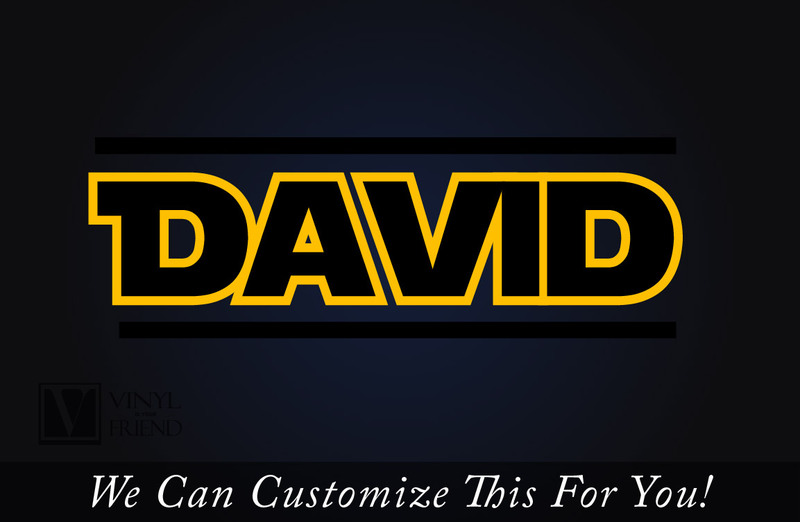 Personalize this with your name! This is a digital print vinyl so there is only one decal. No layering. 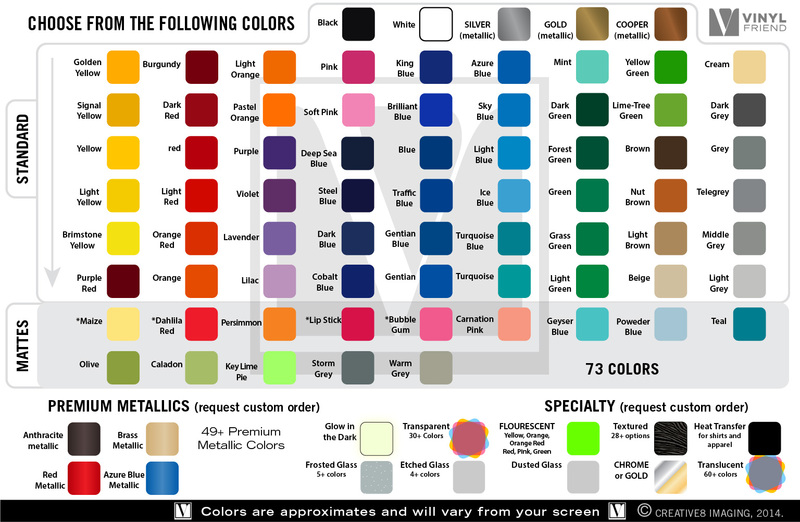 add note at check out with name (1 name only please) size will vary slightly with each name. TO CHANGE COLOR: Select from the drop down box, this changes the yellow outline color. To change the actual text and bars color add a note, else it will always be black.